This month was all about LOVE at Shumaila’s Beauty! We celebrated Valentine’s Day with three amazing special offers for our customers, on Swedish Massage’s, another was on Shellac Manicure’s (you got a free eyebrow shape) and the last one was on party lashes. We hope that you didn’t miss out as there was something for everyone, Shumaila made sure you were #ValentineReady! We will be emailing you our special offers monthly straight to your inbox, so make sure you don’t miss out! Do you follow us on Facebook, Instagram, and Twitter? We are @shumailasbeauty on all three, so keep an eye on our social media as we will advertise our offers there too or call/visit the Shumailas Team in any of our salons. Check us out the links to each are at the bottom of this email. Our lovely salon in Cranbrook Road, Ilford, has gone under some refurbishments and the outcome is even more beautiful than we thought. We know that whilst you wait for your treatments comfort is key, so now you can kick back and enjoy our new luxurious Chesterfield’s with this amazing mural as your backdrop, making everyone’s experience at our salon even more relaxing and enjoyable. Not to be missed are Shumaila’s signature flowers, which always feature and brighten up our salons. What more can you wish for in experiencing a perfect beauty experience?! 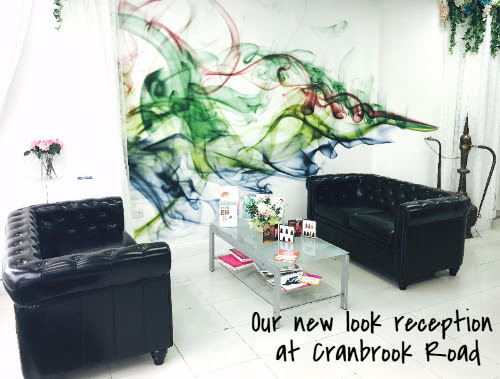 If you’d like to book an appointment, please call on 020 8518 9090 or just pop by on 568 Cranbrook Road, Ilford, IG2 6RE. 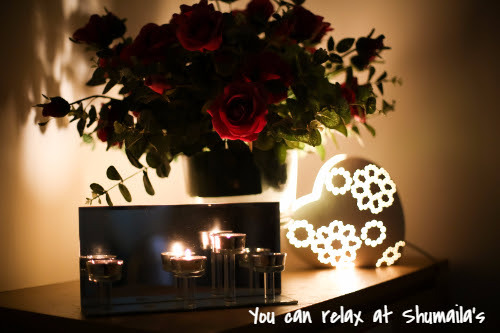 This month we had two beautiful bloggers come down to our salons to get some treatments done and review their experience at Shumaila’s Beauty. The lovely Zaineb visited our Beehive Lane salon the weekend before Valentine’s Day to try out some of our special offers. She booked in a Shellac Manicure as well as party lashes to get her #ValentineReady. Have a look at her blog post here to read about the full experience. We look forward to seeing you soon Zaineb! 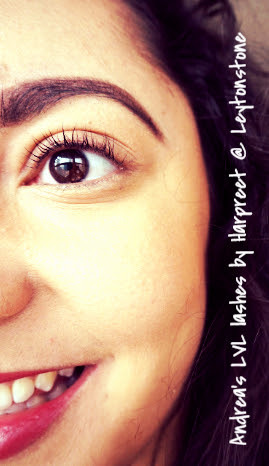 We were lucky to have Fashion & Lifestyle blogger Andrea visit our Leytonstone salon, where Salon Head Harpreet invited her to sample a deep tissue massage with Beauty Therapist Sadaf and we threw in an extra special treat of LVL lash treatment for her to sample, perfected by Harpreet with stunning results. You can read more about her experience here. The Shumaila’s Team look forward to welcoming you into one of our 6 salons across London and Essex. To book your appointment give us a call or simply pop to see us!